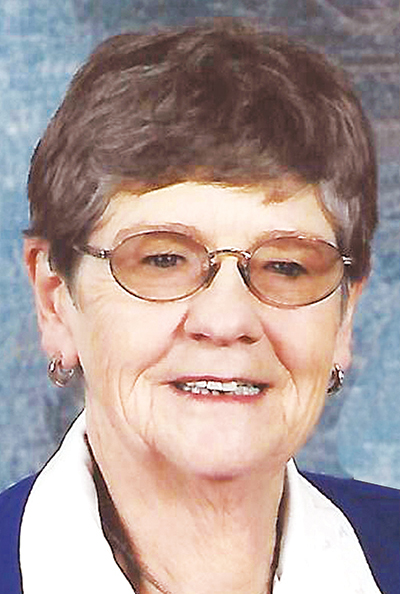 MARSHALL — Services for Ruth Pagel, 84, of Marshall, are 10:30 a.m. Monday at Christ Evangelical Lutheran Church in Marshall. Burial will follow in the Marshall Cemetery. Visitation will be from 4-7 p.m. Sunday at Hamilton Funeral Home in Marshall. Visitation will continue one hour prior to the service Monday at the church. She left this earth on Wednesday, Feb. 6, 2019, at Maple Lawn Nursing Home in Fulda. Ruth Maxine Heuer was born March 6, 1934, to George and Helene (Eck) Heuer in Aitkin. After her family’s farm in Aitkin was devastated by a tornado, her father moved them to Sioux Valley, Minnesota and they farmed there until the early 1950s. The farm was right down the road from her school and she delighted her grandchildren with stories of riding her pony to classes. Ruth graduated from Sioux Valley High School in 1952 and continued her education at Mankato State Teachers College. She studied elementary education and after graduation moved to Marshall, where she taught at East Side Elementary from 1955 to 1958. Ruth loved traveling and, in her first year of teaching, saved exactly half of her paycheck and then spent six weeks visiting Europe. She was never afraid of new adventures. She left teaching to marry Ewald Pagel on Sept. 14, 1958, and they became partners on their family farm. Ruth and Ewald were blessed with seven children during their marriage. They decided to leave farming full-time and build The Key Roller Rink in Marshall in the summer of 1975. In 1977 Ewald and Ruth expanded The Key by adding a bowling alley, and their family ran the business together for 20 years. In addition to raising her large family, Ruth spent many years working with children in local daycares and was a popular teacher’s aide at Marshall High School. She was an active member of Christ Lutheran Church in Marshall. She served multiple terms as the president and secretary of the Ladies’ Aide, was a Vacation Bible School teacher for more years than we can remember, and religiously participated in the Jesus Cares Ministry (a community outreach program for developmentally and intellectually disabled adults). Ruth stayed in touch with her friends from high school and enjoyed the annual get-togethers with the girls from her class. Ruth was kind, gentle, loving and strong – the very best wife, mother, grandmother and great-grandmother you could ever want. Losing her is bittersweet. She waited patiently to be with the ones she loved who had gone before her, and so we are happy in their reunion, but sad for our loss. Ruth is survived by her children, Kayla Pagel (John Cassady) of Mandeville, La., Allison (George) Eckhardt of Strafford, Mo., Michael (Theane) Pagel of Fulda, Valerie (Morgan) Schlecht of Watertown, S.D., and Thomas (Georgina Stotler) Pagel of Placentia, Calif.; grandchildren, Kirsten, Mallory and Suzanne Pagel, Leandra, Michaela, Kendra and Christopher Schlecht, Joshua and Jacob Eckhardt, Addison and Reese Stotler, Peter and Hope Cassady; and great-grandchildren, Nevaeh and Noah Eckhardt. Preceding her in death were her son, Perry; daughter, Shelley; husband, Ewald; daughter-in-law, Lisa Katz Pagel; brother, Roy Heuer; and her parents, George and Helene Heuer.